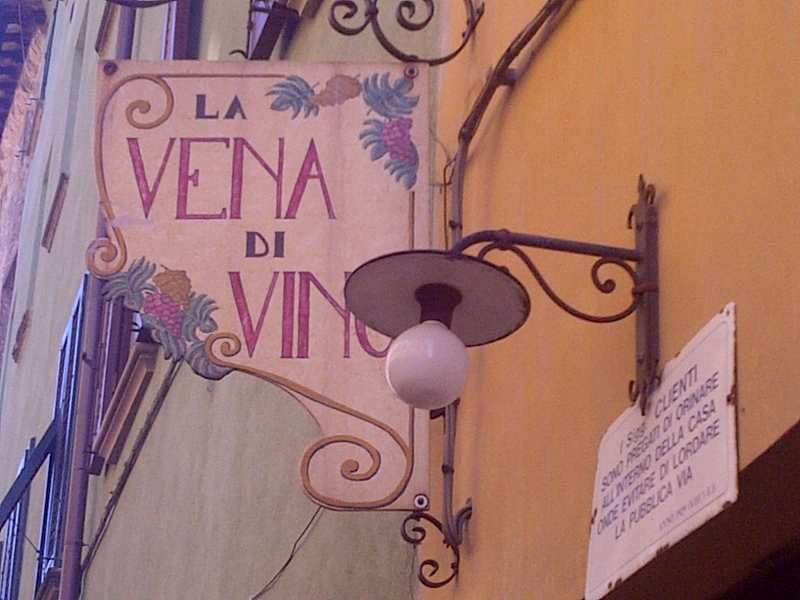 At “La Vena di Vino” otherwise known as the Bra Bar. Why? See next photo. Volterra, in the center of Tuscany, in central west Italy. June 21, 2013. On the TUSCANY tour.